Understanding the importance and necessity of the role of autophagy in health and disease is vital for the studies of cancer, aging, neurodegeneration, immunology, and infectious diseases. Comprehensive and up-to-date, this book offers a valuable guide to these cellular processes whilst inciting researchers to explore their potentially important connections. Volume 7 provides coverage of the latest developments in autophagosome biogenesis and regulation; the role of autophagy in protein quality control; and the role of autophagy in apoptosis. Attention is given to autophagy in the cardiovascular system, with particular insights into the role of autophagy in atherosclerosis and the distinctive behavior of autophagy in the sinoatrial node. Cutting-edge findings in the relationships between autophagy and lifestyle are explored with the regulation of macroautophagy in response to exercise, as well as the promotion of carcinogenesis via autophagy in response to cigarette smoking. Volume 7 highlights the importance of understanding the role of autophagy in context, as the complexity of autophagic function becomes increasingly clear. Autophagy may be differentially regulated, and may perform distinctive cell-specific functions even within a single tissue. The overall significance of autophagy thus cannot be oversimplified, and must be explored with granular detail of the specific role, function, and area of impact. This book is an asset to newcomers as a concise overview of the complex significance of autophagy, while serving as an excellent reference for more experienced scientists and clinicians looking to update their knowledge. Volume 1: Molecular Mechanisms. Elucidates autophagy’s association with numerous biological processes, including cellular development and differentiation, cancer, immunity, infectious diseases, inflammation, maintenance of homeostasis, response to cellular stress, and degenerative diseases such as Alzheimer’s, Parkinson's, Huntington's, amyotrophic lateral sclerosis, and prion diseases. Volume 2: Role in General Diseases. Describes the various aspects of the complex process of autophagy in a myriad of devastating human diseases, expanding from a discussion of essential autophagic functions into the role of autophagy in proteins, pathogens, immunity, and general diseases. Volume 3: Role in Specific Diseases. 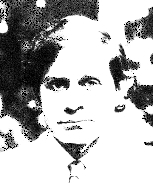 Explores the role of autophagy in specific diseases and developments, including: Crohn’s Disease, Gaucher Disease, Huntington’s Disease, HCV infection, osteoarthritis, and liver injury, with a full section devoted to in-depth exploration of autophagy in tumor development and cancer, as well as the relationship between autophagy and apoptosis. Volume 4: Mitophagy. Presents detailed information on the role of mitophagy, the selective autophagy of mitochondria, in health and disease, by delivering an in-depth treatment of the molecular mechanisms involved in mitophagy initiation and execution, as well as the role of mitophagy in Parkinson Disease, cardiac aging, and skeletal muscle atrophy. Volume 5: Role in Human Diseases. 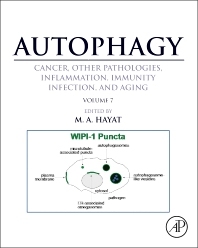 Comprehensively describes the role of autophagy in human diseases, delivering coverage of the antitumor and protumor roles of autophagy; the therapeutic inhibition of autophagy in cancer; and the duality of autophagy’s effects in various cardiovascular, metabolic, and neurodegenerative disorders. Volume 6: Regulation of Autophagy and Selective Autophagy. Provides coverage of the mechanisms of regulation of autophagy; intracellular pathogen use of the autophagy mechanism; the role of autophagy in host immunity; and selective autophagy. Volume 7: Role of Autophagy in Therapeutic Applications. Provides coverage of the latest developments in autophagosome biogenesis and regulation; the role of autophagy in protein quality control; the role of autophagy in apoptosis; autophagy in the cardiovascular system; and the relationships between autophagy and lifestyle. Volume 8: Autophagy and Human Diseases. Reviews recent advancements in the molecular mechanisms underlying a large number of genetic and epigenetic diseases and abnormalities, and introduces new, more effective therapeutic strategies, in the development of targeted drugs and programmed cell death, providing information that will aid on preventing detrimental inflammation. Volume 9: Necrosis and Inflammation in Human Diseases. Emphasizes the role of Autophagy in necrosis and inflammation, explaining in detail the molecular mechanism(s) underlying the formation of autophagosomes, including the progression of Omegasomes to autophagosomes.